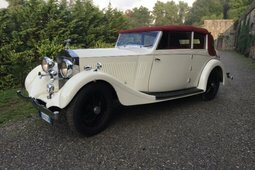 Vintage and Prestige are proud to offer this 1936 Rolls Royce 35-30 Sedanca De Ville by Gurney Nutting For Sale. 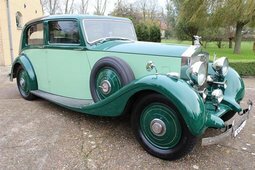 The Rolls-Royce 25/30, built between 1936 and 1938, is an updated version of the 20/25 featuring a larger engine than had been fitted to the earlier model which provided more power to compensate for the over-size bodies being built. The in-line six cylinder, overhead valve, engine was similar to that used in the 20/25 but increased in capacity to 4,257cc. 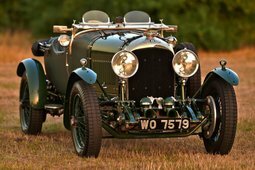 A single proprietary Stromberg downdraught carburettor replaced the Rolls-Royce one and magneto ignition was no longer fitted but a spare ignition coil was provided. The riveted chassis had rigid front and rear axles suspended by half elliptic springs with hydraulic dampers. Braking was on all four wheels assisted by a mechanical servo with separate rear brakes fitted for the handbrake. 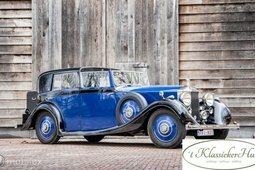 Also fitted was the traditional Rolls-Royce radiator with vertical louvres, the angle of which was controlled thermostatically to control engine cooling. 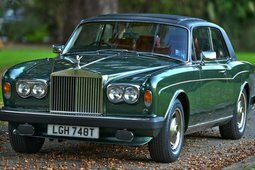 Only the chassis and mechanical parts were made by Rolls-Royce. 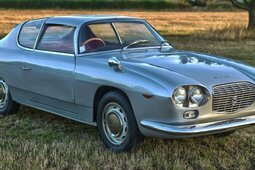 The body was then made and fitted by a coachbuilder selected by the owner. Finished in deep blue over black, with grey leather interior piped in blue, this example has the wonderful Sedanca canvas top, unfurling from the hidden compartment in the front of the roof. The rear compartment has one occasional seat folding from the bulkhead, on the opposite side is a fold out footrest. Between the two is a small cocktail cabinet with twin glasses and a decanter. Twin vanity alcoves are mounted with recessed mirrors reading lights. All interior woodwork is in fine order. Acceleration is responsive, with the car feeling light and extremely manoeuvrable with firm but supple suspension. The car starts instantly and runs silently, with the radiator shutters operating perfectly via the thermostat. 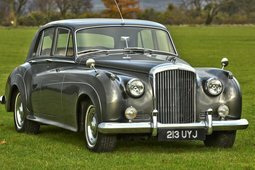 The owner has covered many miles in the car without any problems, and with a new overdrive, allowing the car to cruise at 65 to 75mph.